The color of your house matters. Not only will painting your house a beautiful color make you happier, but it will also increase the value of your home. But you don’t just want to choose any old color of house paint. This is a big decision, and you want to do it right the first time. 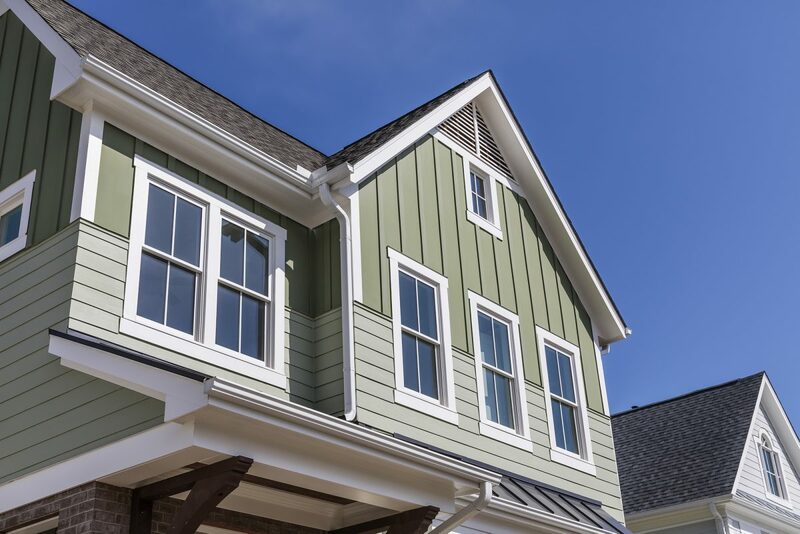 In this article, we highlight some important considerations for choosing which color to paint your house. If you look carefully, most houses are painted with several different colors of paint. We recommend you choose three: one for your base (the dominant color), one for your door, and one for your trim work (such as window casings, door casings, and roof edging). A good rule of thumb is to select two different colors a few shades apart on the same color strip. Then use one color for your trim work and the other as your base color, depending on factors I’ll tell you about below. Then paint your door a color that makes it pop. When choosing a color of house paint, you need to consider the colors that surround your house. Especially consider those you can’t change such as the colors in the foliage around your house, the colors of your neighbors’ houses, and the color of your roof. Look for common hues among these more permanent colors and use those hues as a base for inspiration. For further inspiration, go for a walk around your neighborhood and take note of which colors impress you and which don’t. Pay special attention to houses that are very similar to your own. Another good avenue for inspiration is to consider the architectural style of your house. Many paint suppliers will offer recommendations based on style and era. Finally, remember that the sun will mute colors. So if you live in a sunny place, it’s ok to go a little brighter, but if you don’t expect a lot of sunlight, a bright house paint might be too jarring. In general, bright base colors will cause your house to stand out and look bigger, while darker colors will cause your house to recede and shrink. So, if your house is in a small lot on a crowded street you might want to choose a darker base, so your house doesn’t stand out too much. But if your house is far from the street you can choose a bright base to make it move forward a bit more. In the first example, you would accent your trim work with a nice bright color and in the second your trim would be dark. The color you see displayed in the hardware store won’t be exactly the same as the color of your paint once it dries. To test a paint, paint a part of your house people can’t see from the street. Then, once the paint dries, observe the color at many different times of the day and under many different weather conditions. Once you’ve chosen your perfect house paint, you’re ready to get down to business. We can help you get started right away. We’ll do everything from the prep work, the sanding, and, of course, the painting.